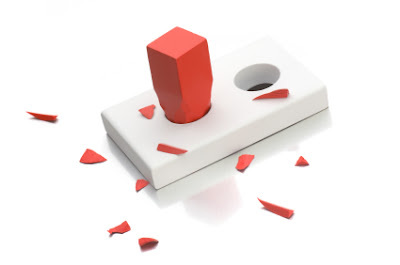 Patient Speculation: What Can Be Learnt From Me Trying To Fit Square Pegs Into Round Holes! What Can Be Learnt From Me Trying To Fit Square Pegs Into Round Holes! Today as I was in the process of looking for any candidates for my eachway selections I found myself getting more and more frustrated, the cause of the frustration was that there did not appear to be any horses that fit my selection criteria. I found myself going over every race again and again and when I found marginal candidates I tried to create a case for selecting them. There were no candidates that the fit the selection criteria exactly but I found myself loosening my rules just a little bit to hopefully find a candidate, I would compare the loosening of the criteria to clipping the corners off square pegs to get them to fit into round holes, just little adjustments but they would have caused my selections to be a lot worse value. All of a sudden I realised what I was doing and then stopped looking, I then spent a few minutes analysing why I had behaved in that fashion. I tried to break down what was driving my decision making processes in such a skewed way. After much deliberation I believe I now know the causes and I will now try to explain what drove me to nearly lose my discipline. Unbeknown to me it all started when I started posting up my eachway selections nearly a week and a half ago. Sods law meant that whilst my selections were value in the most part, the value did not show in the results leaving me seven and a half points down on the first week (after only betting nine points!). Over the weekend and up to yesterday things started to improve with a couple of winners and a few placed efforts, I felt like some momentum was building up and then today NO SELECTIONS!! I hope by now you can see what was happening. I know this method is profitable in the medium to long term and yet I still let one and a half weeks of results begin to affect my state of mind! Even though I have now dedicated my whole betting/trading philosophy, not to mention this blog, to finding long term profitability through patient analysis and deliberate planned actions I still let impatience begin to creep in!!! Fortunately I did realise what was happening and I believe I have learnt a valuable lesson, but it just goes to show how we as sports speculators must constantly be on our guard against negative mental influences such as impatience and greed. I would recommend that if you find yourself looking for action by loosening your selection criteria like I did it may be worth taking a step back and looking at your own reasons for doing so, you may be surprised by what you discover and it could help you to become more profitable. It says a lot that you realised what you were doing and took the time to analyse your thoughts. It is much more difficult than people imagine especially when your focus is searching for a selection. I often find I do best with my selections when I take a laid back approach because I believe the best bets do stand out - kind of speak for themselves. You only notice that at times when a few days go past and nothing seems to stand out and the next thing it is like 'something must be of interest'. Then a proper bet comes along and it puts it into perspective. I think that is the problem that everything needs to be judged by a certain criteria. It needs to have a context to give you something to measure it by. I bet very selectively and often go days without betting and I know exactly the feeling you stated. You have an insightful blog. You are right, some bets do kind of speak for themselves and I think that If every gambler was prepared to do their homework use sound money management and bet selectively the bookmakers profits would be a lot less than they are now. I believe that the bookmakers know this and they use every trick in the book to attract us to bet indiscriminately and judging by their results they are very good at it.